Below are two general area pictures showing how the cars were at a recent show. 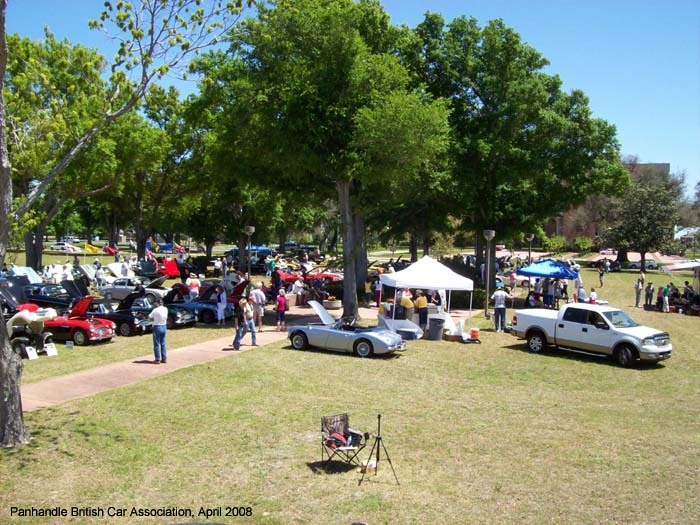 Historic Pensacola is a beautiful place to have a car show! Restaurants and shops are within walking distance of the area and hotels are very nearby as well. 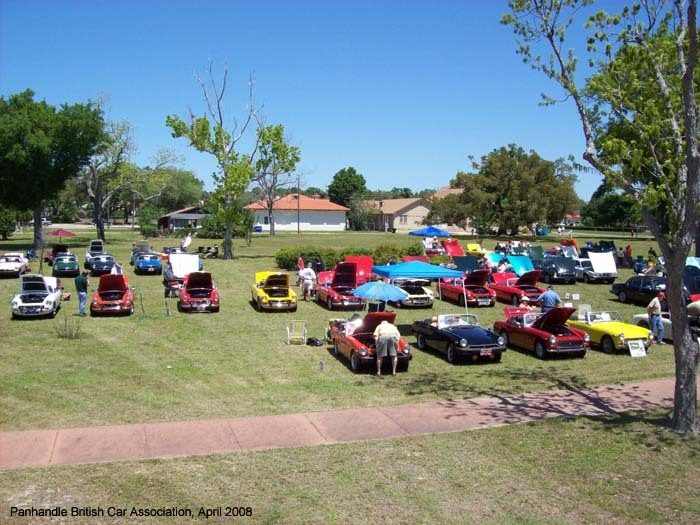 Over 120 cars have shown up in past years and have come from as far away as northern Alabama; Tennessee, Kentucky, Louisiana, central Florida, Georgia, South Carolina and even Wisconsin & Indiana and many other areas around the southeast. In 2003 a Triumph TR6 was driven from Indiana and in 2008 several Triumph Spitfires were also driven from Indiana and Kentucky An MG has been driven from Wisconsin for a few years in a row. An award is given to the car owner who drives (not trailers) the furthest distance to make the show!